Guillermo Prieto said the rise in interest rates and the slide in the peso against the U.S. dollar had yet to trickle down to consumers. MEXICO CITY -- Sales of cars and light trucks set new records in Mexico in November and year to date as widely available credit and financing options helped automakers and consumers overcome rising interest rates and a weaker peso. Auto sales jumped 23 percent to 154,616 vehicles last month compared to November 2015, according to the Mexican Automotive Industry Association and the Mexican Automobile Distributors Association. For the year through November, auto sales rose by 19 percent at 1.4 million compared to the same period last year, the industry groups said late Thursday. 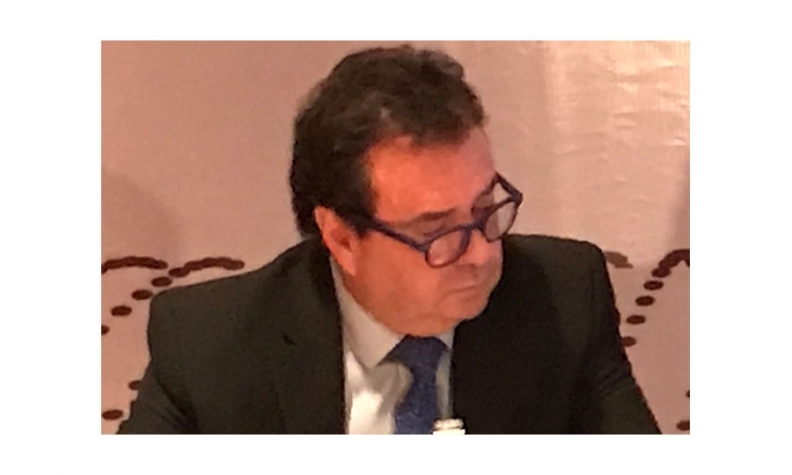 Guillermo Prieto, president of the distributors association, said the rise in interest rates and the slide in the peso against the U.S. dollar has yet to trickle down to consumers. Auto loans remained at record levels and auto prices were stable, he said. The industry was on pace to sell a record 1.6 million vehicles for the year and on track, barring any shocks to the economy, to hit around 2 million by 2020. Prieto estimated that sales next year could grow another 6.5 percent, although there are dark clouds on the horizon. They include the election of Donald Trump as president of the U.S. since he has been a sharp critic of the North America Free Trade Agreement that is critical to Mexico’s export-oriented economy. “Without a doubt, there is uncertainty,” he said. Trump’s surprise election has pressured the Mexican peso, now near record lows against the U.S. dollar, which has forced the Mexican central bank to hike interest rates to fight inflation as imported goods become more expensive. About half of the cars sold in Mexico are imported. Nissan remained tops in the Mexican market with a market share of 25 percent, followed by General Motors at 19 percent and Volkswagen at 16 percent. Toyota, which is expected to post record sales this year, was in fourth place with 6.4 percent of the market, the industry groups said in a joint statement. Nissan sales rose 15 percent year-to-date to about 354,000; GM deliveries rose 19 percent to about 266,000; VW gained 16 percent to about 186,000; and Toyota sales rose 24 percent to just over 90,000. The biggest mover so far this year has been Kia, whose sales grew nearly 500 percent in the first 11 months of the year after making a big push in the retail market and opening its first Mexican factory near the northern city of Monterrey. Kia sales rose to about 52,000 vehicles year-to-date from about 9,000 in the same period last year. The results gave Kia a 3.7 percent share of the Mexican market this year through November. Hyundai, Kia’s sister brand, posted 11-month sales of about 33,000, for a 41 percent gain compared with the same period in 2015. Hyundai previously sold its cars in Mexico as rebranded Dodge vehicles. Ford sales rose 14 percent to just over 87,000 vehicles this year while FCA, which also markets Mitsubishi vehicles, has seen sales fall 1.6 percent to just under 90,000.